In a normal year, the Greenland Sea would already have had more than a week of re-freezing, and the CAB and CAA would be about to start. The graph is based on Piomas volume, so remember that it's a model rather than a measurement. 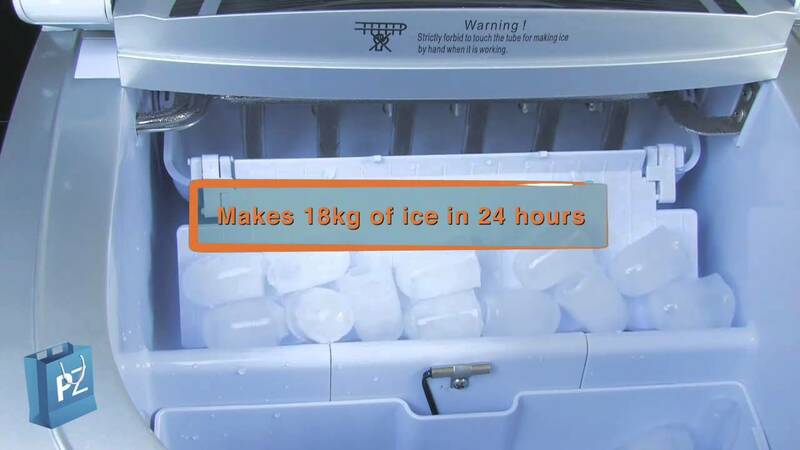 The first day of refreeze is the first day with an increase in volume after the last day at the minimum. The first week represents the start of the first uninterrupted seven-day period of continuous increases in volume after the last day at the minimum. Neven might not be happy. About jumping the gun on this thread? FWIW, last year's version of this thread was started on August 22... and the previous year's was started on July 20! We are downright late here. Well done. As a fact, people were starting to discuss refreeze symptoms at the melting season thread. This was needed. I hope the ire of the local gods is placated by such an outstanding way of starting the thread. Nice graph Ned W.
Mea Culpa. I was thinking about the Extent & Area Data thread. If my memory is correct (?) the great Lord M Vader opened up this year's extent and data thread and it was blocked by Neven. ps: I hope Neven does not close the melting season threads (expecially extent and data) straightaway thread as I was thinking of doing a review of 2018 of the contrast between events in each sea would be interesting. Thanks. I think that when I originally posted that, last year, you turned it into a map, which was a good idea. I was thinking of doing a review of 2018 of the contrast between events in each sea would be interesting. That would be great. I'd love to see that review. In the freezer it goes, and I'll pull it out again once JAXA goes 25K above the preliminary minimum reached yesterday. Traditions are there to be respected. It might get blown away. Yep, into the Freezer it goes. But not without all that Water Vapour rotating around the Pack in meridional Flows. Although it's not really hard to imagine the pack being 25% smaller as it was in 2012 (Ironically the same year sighted by the Mayans as the year of our awakening...), I think what BOE people fail to see is how hard it is for 'central ice' well away from the warmer coasts to get melted away. ESS took a lot of blow torches right off the coast and look how long it took to disappear... I'm not at all saying I don't agree with the downward trend but that--to me--hides the remaining ice being well away from the warmer lands. If you compare the current cap to the 80-2000's average, it really is like an open ocean Anyway... and seeing these extreme weather events already it is very dangerous to think we need to wait for a blue ocean before SHTF! We talked most of '18's spring of how Bearing remained open and we see every year how Laptev also seems to have an open crack so given this year's record melting in Laptev (the heart of most Clathrate studies if I'm not mistaken) I'm going to hazard a guess that this one area will be the next harbinger of things to come! The graphs are so off with recent dips in ESS etc. that one has to wonder if and when the warmth just gets enough of a foot hold to just up and collapse it! Self-sufficiency and Durability to disasters are the absolute keys to nearly any disaster you can think of such as War, economic collapse, pandemics, Global warming, quakes, volcanoes, Hurricanes... all of which put solar farms etc. and power grids at risk! The land is only warmer in Summer. The oceans have the advantage of being more of a battery. No idea when that will be the overriding fact, but it will be the overriding fact. The 500MB blocking this September has been the most extreme of any year I can find. The only one in recent times that has a strong semblance, IMO, is 2010 (but less extreme). That is interesting because 2010 was actually a moderate (or strong?) Nina winter, and we are currently looking to go +ENSO. It is also interesting because the winter of 2010-11 was extremely severe for much of North America (in NYC we had non stop snowcover from 12/26 into February, with a massive blizzard 12/26/2010). This followed another very impressive winter in 2009-10 (snow was focused on the Mid Atlantic, when DC / Baltimore and Philadelphia got one 20" storm after another). Despite the ENSO mismatch I could actually see a similar evolution this winter. We are also very much due for a snowless winter (the last was 2011-12). Maybe 2019-20 is the next step in this "step down" towards eventual BOE, with summers 2019-2020 acting as equivalent to 2011-12? If this is the case, we are possibly going to see our existing situation re: volume (already very bad) spiral into new records once more by springtime. Re BOE and the central ice, I think of it as some kind of negative feedback. The hardest ice to melt also has the earliest probable refreeze date. So a year like 2016, which made the deepest inroads into this arctic heartland, also has an early minimum which possibly prevented a new area record. While years like 2012 and this year had a late minimum but did not threaten this heartland. I think the extra factor that will defeat this defense is strong ice movement. Should some kind of dipole settle on the Arctic and push the thick ice continuously to the Fram or the Atlantic front, coupled with the right weather and some kind of August GAC it could produce a BOE before the early refreeze strikes back. The models say the freeze up will crawl along. The first week of August the ice will barely be above right now. I think the first BOE will be the year the freezing season ends with less than 18 (1000km3). I think the hiatus in the September minimum is now obvious, but there is no such hiatus in the maximum yet. Will the maximum experience a hiatus like the minimum? The hardest ice to melt also has the earliest probable refreeze date. If there is no hiatus, then a year like 2016 or 2012 but with very low volume at the end of the freezing season is the end. Friv, Do you mean 1st of Oct.? Then Sept. average will be under 4.75 in the pool. I would guess the record 500MB blocking occurring / forecast in models is partially due to the worst-ever imbalance between continental snowfall and volume / area. 2012 had no snow at this point, except a bit near Kamchatka. The only other years that come close are 2005, 2008, 2010, 2013, and 2014. Of those, 2018 is still the strongest across North America. 2010 was strongest across Eurasia. 2013 and 2014 were more evenly distributed across both Eurasia and North America, while 2005 and 2008 had decent N America and not much Eurasia (still way less than 2018). I think the *situation* of the pack this year has led to the dislocation of the PV into the CAA due to how the melt season unfolded. 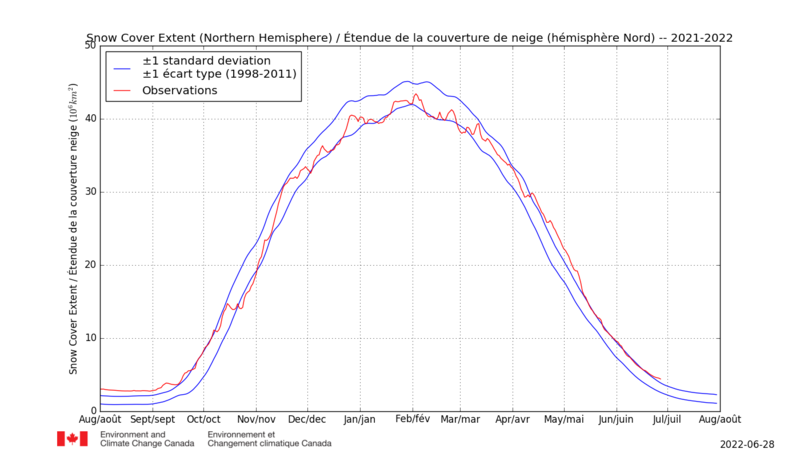 And that has followed into the late September situation of, once again, record Canadian snowpack. While ice area and extent may not be at record lows, the *disparity* between ice area / extent and continental snowcover is now worse than any other year. This will encourage far stronger -500MB continental anomalies, and combined with the accumulation of heat in Bering / Laptev / far NATL, result in record +500MB anomalies across the Arctic for much of the winter. This is likely to accelerate snowfall across the NHEM as we continue into autumn, and will also result in a worst-ever refreeze across the PAC, ATL, and possibly Russian fronts. While the area of the continents covered by snow always surpasses sea ice area / extent, the speed at which it will do so this year relative to the condition of the sea ice is what matters most. JAXA SIE now almost 150K above the preliminary minimum. Looking at the animation slow wing just posted (CAA filling up, etc), I don't think it will go any lower, despite those crazy isobars in the coming 3-4 days. I do not know if you really intended it to be - but the tabloid/joyous/triumphalist tone of this post I find nauseating. Slow wing’s most recent posted animation for the seven days ending 24 September appears to show a sizable flash refreeze in the ESS arm. Flash occurrences of that type, both melt and refreeze, are often seen differently by the sensors a day or so after the flash occurrence. If that happens in this instance, then another decline in extent could occur on that basis alone, though not likely enough to challenge the preliminary minimum, IMO. What with significant SST +ve temp anomalies as well, surely freezing will be slow? Can we have an updated arctic temperature chart vs month? I don't remember the name of the chart, but it has a red line overlaid on the historical average. Is this the graph you are referring to Harpy ? That may have something to do with it as well, but usually it's a sign that the Arctic Ocean has started to release its heat to the colder atmosphere, so that it can commence freezing over. No way that is happening. Does the near-zero mass balance right now mean there's already freezing on the Canadian side and in the Central Arctic Basin, but still melting on the Siberian side? And another 58K was added, 203K above the prelim now. The freeze up is going to crawl along. Given the unprecedented event taking shape I cant believe this forum is dead. We might see extent losses im early October. I cant find anything like this in the archives. I mean not even close. The refreeze is becoming the most interesting part of the year! September will be surely the warmest in several locations of Chukotka. For example, near Cape Dezhnev the warmest September was in 2007, monthly average was 6.5°C. In 2018, September 1-25 average reached 9.0°C. It is well above normal July. Ice had some problems in the Bering Sea last winter. Yeah, the EPS mean even peaks above +3SD at tau 168, which is remarkable on an ensemble run at one week out. Edit: The EC op run is at 4SD+ at 96hr and more or less keeps it there (or close) for a week. Nuts. That's a nuclear ridge. There's going to be some net losses in there if that comes close to verifying, perhaps some big ones with the wind forecast. The airmass that's being advected in is modified-subtropical in nature (temps well above 0C at 700mb) and with a big chinook event forecast off the north slope, it could get quite warm near the surface for quite some time. Typhoon Traimi will help out as well, by pumping a large moisture/heat flux into the ridge as it recurves into the mid-latitudes. Impressive. What's pumping it up? What impact will it have on the freeze? What are 2 meter temperatures over the Chukchi? Wondered since the atmosphere is warmer and thus ...more volume/height overall, doesn't that mean that even as we begin polar night with no sun on the surface, there is more 'air volume' still above the horizon being warmed by the sun. This is what comes to mind when I see the 500mb anomaly from Friv. dmi 80 as noted is rather high .. today was a record for the day and some 20'C above 1987 ! b.c. Well above freezing. Not surprising given 10-15C 850s. The 12z also develops a full blown Chinook off the North Range. Blowtorch weather for that part of the world. The atmosphere is not warmed directly by sunlight. I asked the question because warm air intrusions at altitude does not always mean very warm temps at 2m. This seems like the beginning of a repeat of how the DJF trimonth went last year. 1. Low SIE in the Bering/Chukchi seas helps support a Rossby wavetrain that enhances a strong -EPO pattern. The -EPO pattern creates a heat dome over these regions that prevents refreeze and creates a feedback loop. 3. A lack of ice transported into the Atlantic results in less of a freshwater lens along the Atlantic margin. 4. Atlantification continues deeper into the Atlantic margins of the Arctic as saline water can mix closer to the surface. Honestly, freezing season is when the Arctic is exciting.